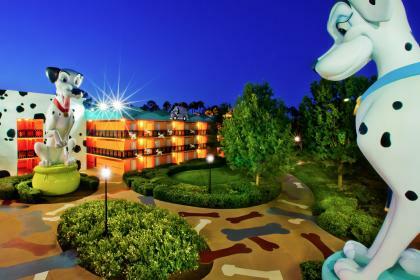 Celebrate the fun and excitement of classic Disney movies at this ever-popular Disney hotel. 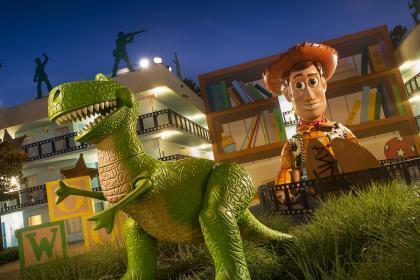 See Disney Characters as you have never seen them before at the larger-than-life Disney's All-Star Movies Resort. 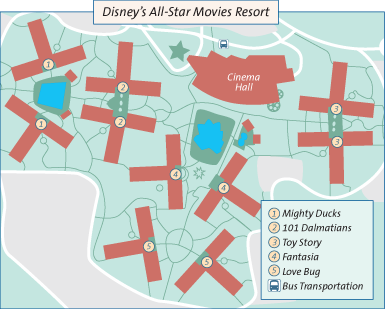 The accommodation, pools, and public areas have all been themed on timeless Disney classics The Love Bug, Fantasia and 101 Dalmatians. 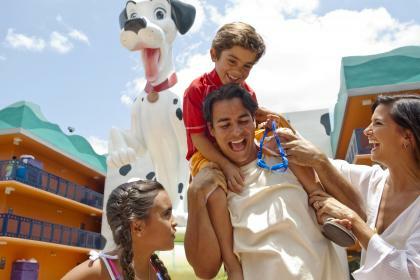 Make the most of photo opportunities with gigantic Disney Characters including Herbie the Love Bug and forty foot high Dalmatian puppies. 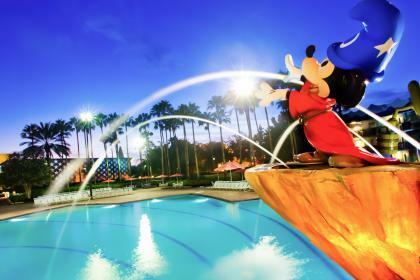 For watery fun, take a dip in one of the two feature pools that have been themed on the movies Fantasia and The Mighty Ducks. 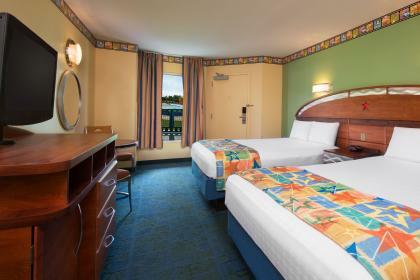 Family meal-time favourites including pizza, pasta and hot-dogs can be enjoyed at the World Premier Food Court or perhaps try out the pizza delivery service direct to your room. Enjoy some family time, chilling with a Disney movie under the stars. 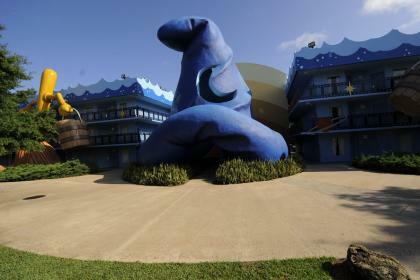 You can find these screened nightly around the Fantasia pool area. 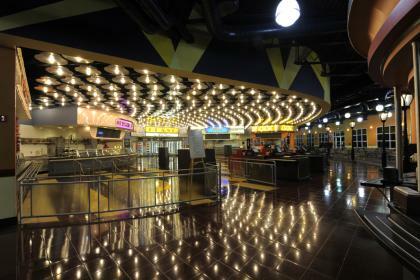 A themed food court which offers five separate stations serving a variety of cuisines from pizza and pasta to salads, sandwiches, and rotisserie-chicken dishes. Breakfast, lunch, dinner, and snacks are available every. In addition to the above. Guests can enjoy snacks and beverages. 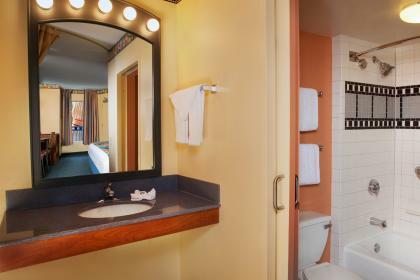 Pizza-delivery service is available to all guest rooms at each resort.